Every year, Crestar Education Malaysia dedicates a day where the business partners gather to celebrate its achievement and to catch a glimpse of what is to come. 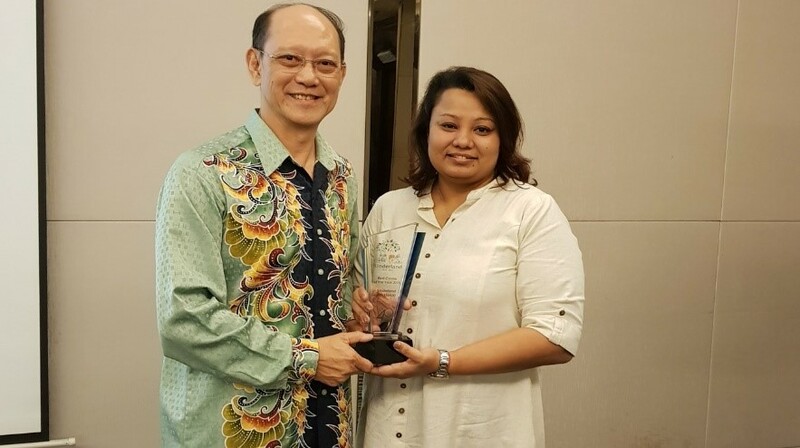 This year, on 11th August, more than 50 business partners, principals, key teachers, CEM staff and guests from Singapore Crestar Head Office attended the event at Armada Hotel, Malaysia. This is to celebrate Kinderland 40 amazing years of innovation and passion in the region and accomplishment through the years in early childhood education. Also, to listen to latest trend and updates, keynote presentation and awards. From right to left- Kinderland Bandar Parklands Business Partner Mr. Ng Soon An and Ms. Wong Yee Fong. 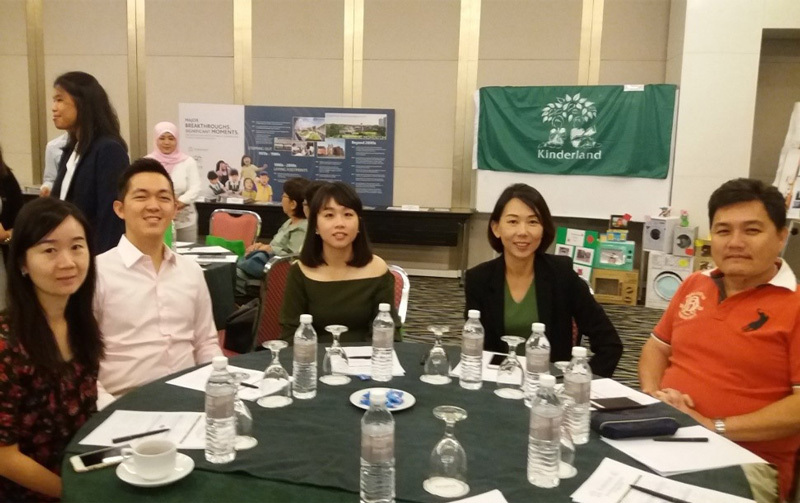 Ms. Wong Hui Yee, Principal of Kinderland Muar and Mr. and Mrs. Sia, Kinderland Muar Business Partner had the opportunity to connect with one another and shared their experiences. The day kicked off with an opening and updates address by Mr. Ng Cheong Chye, Chief Executive Officer, Crestar Education Malaysia highlighting the latest government policy, market trend and newest Kinderland business strategy from year 2019 to 2021. Meeting also cover marketing and promotional activities for year 2019, and parental satisfaction survey results. CEM will launch the new School Management System for Kinderland centres in Malaysia. Kinderland Curriculum Department emphasised the importance of upgrading teaching quality through e-training. There will be more web-based training in future, showing easier access to teachers training for outstation Kinderland centres. Among other topics discussed were; Centre showcase of Mini Projects, Human Capital Development and sustainability of Preschool Business. Anchored on the theme “40 Years of Empowering Young Minds”, business partners and principals have benefited from the one day session. During this year annual business meeting, CEM presented 6 awards to centres that have achieved outstanding performance as a form of recognition of their dedicated effort in upholding Kinderland quality and services. Among the centres are Kinderland Brickfields, Kinderland Seremban 2, Kinderland Setia Impian, Kinderland Puchong Utama and Kinderland Equine Park. Kinderland Malaysia remains committed to our purpose and mission – to provide excellent and quality educational programme and services to our children.